Mix salt and small amount of oil in a wheat flour very well. Then add some water and knead the dough. Dough should be just like chapati dough. Cover this dough and keep aside for a while. Then grate boiled potatoes. Add all other ingredients of stuffing in potatoes. Mix this stuffing mixture very well. Make small ball of dough. Apply some oil on both palms & flatten the ball to form a 2 inch roti. 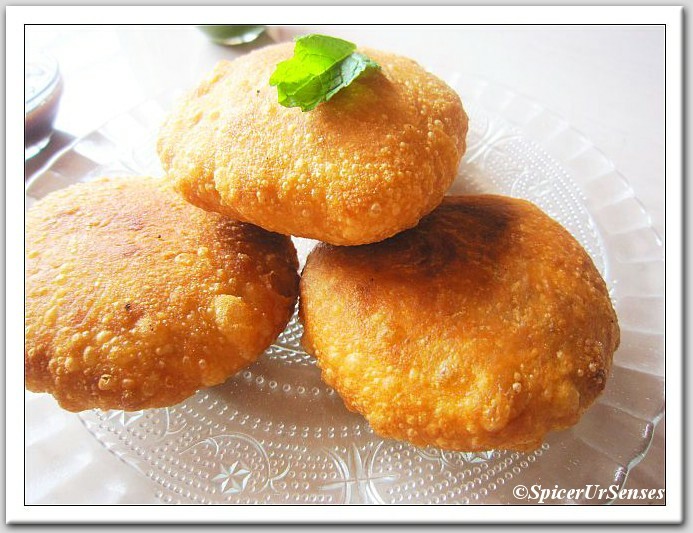 Take small portion of stuffing and wrap that stuffing in each roti and roll into a small ball. Roll this ball to form a 3-4 inch round kachori. Heat the oil in kadhai. 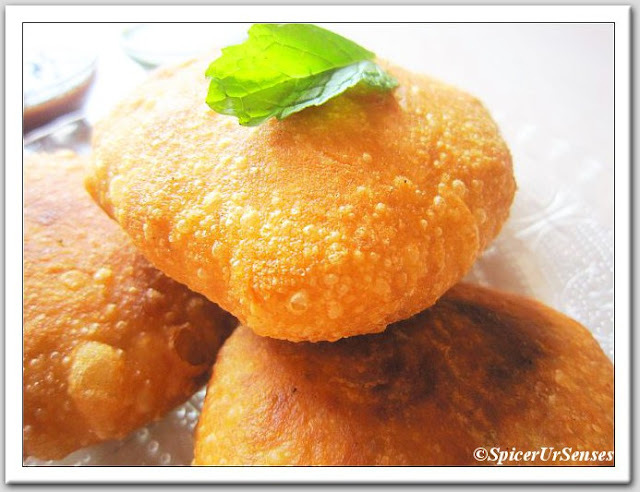 Now lift the rolled kachori and carefully slip it into the hot oil. Immediately start flickering hot oil over the top of it with a spatula so that it will swell up. Flip the kachori and cook both sides till it become golden brown. Wow, looks awesome, nicely explained, thanks for sharing. 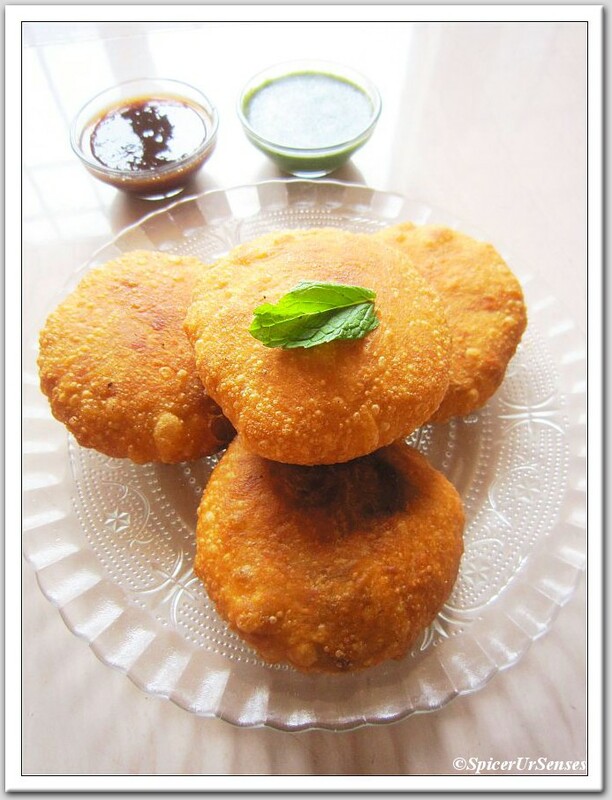 Kachori has been in my to do list for long time now! Looks too tempting! looks gorgeous! could gobble em up within secs! These are stunning! 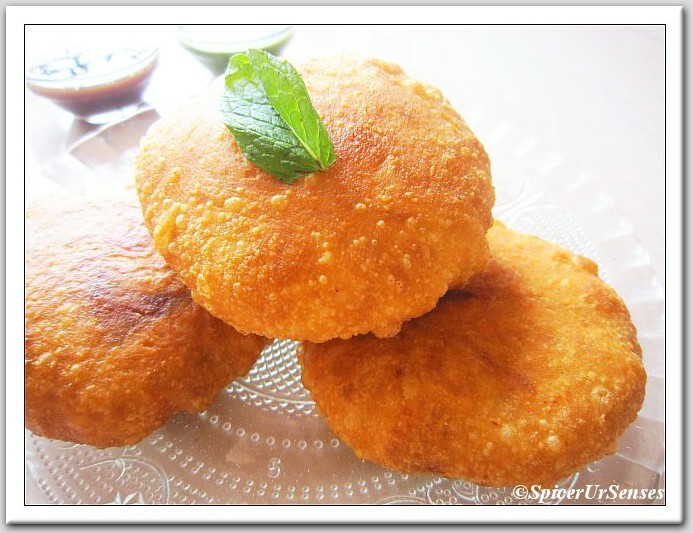 I love the idea of a crispy wheat flour "donut" and a spicy potato filling....Your pictures are incredible! Thanks so much for sharing and I look forward to what comes next! Looks too tempting, perfect with a hot cup of tea.